Starz chooses to abandon its contract with Netflix. If you've watched movies or TV shows on Netflix's streaming service in the last couple of years, chances are you've viewed something that was licensed from Starz. The premium cable network allowed Netflix to stream its "Starz Plays" content to all unlimited users, but negotiations to renew that agreement have collapsed. 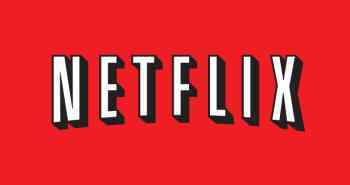 Starting on February 28, 2012, Netflix will no longer stream any Starz content which includes "approximately 1,000 movies, original series, and new releases from major Hollywood studios." "This decision is a result of our strategy to protect the premium nature of our brand by preserving the appropriate pricing and packaging of our exclusive and highly valuable content," the Starz CEO said. "With our current studio rights and growing original programming presence, the network is in an excellent position to evaluate new opportunities and expand its overall business," he continued. Netflix hasn't said anything regarding losing all this content, but the rising licensing costs are a long term problem for the internet movie company. Netflix recently had to indirectly raise prices by splitting its DVD-by-mail service and its streaming service into two separate payment plans, resulting in a net increase in subscription fees if you want to continue using both. Movie and television studios are brokering deals directly with Netflix for their content to appear on the service, but the price of those contracts are forcing Netflix to raise revenues. Hopefully, the company can bounce back from losing Starz, but it will be a challenge. Which is a shame. I quite like being able to think of watching something and searching to find it. Now, my options will be even more limited. If you're wondering what shows and movies will be affected, you can click on the "Starz Play" once you log in to the Netflix website. What's there isn't a comprehensive amount of content but the loss to the service is significant.